Paris: Thierry Henry’s international playing days ended in controversy and his coaching career has started in embarrassing fashion. Last Saturday, the pressure showed when he aimed a crass expletive at a Strasbourg player during a 5-1 home defeat. AS Monaco have brought back their former manager Leonardo Jardim on a two and-a-half year contract. Henry’s tenure started and ended with defeats. He lost 10 and won four of his 20 games in charge, the defence conceding 36 goals. One of the wins was a 1-0 triumph in the French Cup against an amateur team that plays several divisions below. Monaco is second from bottom in the league, deeply frustrating for a club which has won the title eight times and reached the Champions League final in 2004. 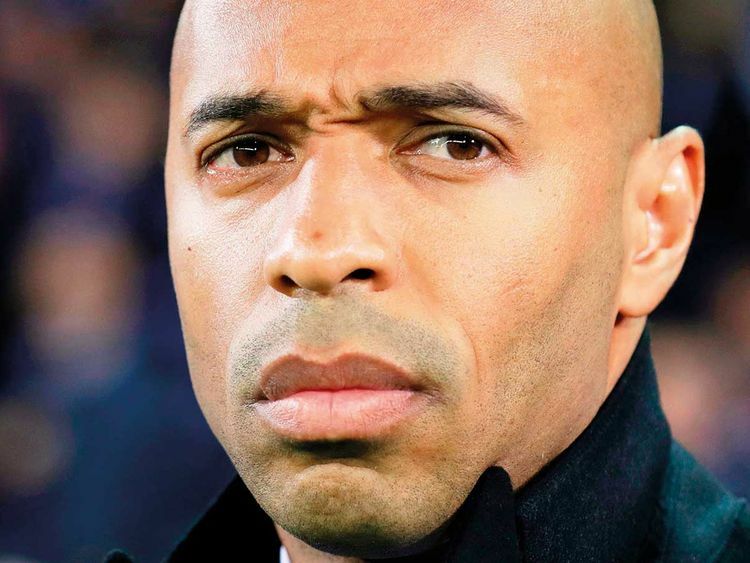 Under Henry, who started his playing career with Monaco, the club never won a home game. It prompted him to question whether there was a “Stade Louis II” syndrome. As a player, Henry enjoyed a strong relationship with the British media but a brittle one with their French counterparts — despite his achievements with the national team. Facing the media as Monaco coach was a new experience and appeared to be uncomfortable, with Henry often looking tense and sounding defensive. He would often use fighting talk ahead of games, spouting motivational expressions like “going to war” and being “on a mission” while he demonstratively banged his hand on a table, or raised a finger in a show of authority. The words and actions did not look convincing, coming from someone whose stellar playing career was in the higher echelons of world soccer. He won the World Cup and the European Championship with France, two league titles each with Arsenal and Barcelona, and the Champions League with Barcelona in 2009. He is France’s and Arsenal’s all-time record scorer. But he is not someone used to a relegation scrap, and he was found badly wanting. Although he inherited a squad low on confidence and riddled with injuries, some results were awful. While losing 4-0 at home to a rampant, free-scoring Paris Saint-Germain was perhaps expected, a 4-0 reverse at home to Belgian side Club Brugge was not and neither was last Saturday’s rout by Strasbourg. Henry was vilified by fans, former teammates and politicians. The criticism affected Henry deeply, and worsened his already mediocre relations with the French media. Waiting in the wings was Leonardo Jardim, who was fired in early October after a run of 10 games without a win left the club third from bottom. He gave a timely interview to sports daily L’Equipe on Tuesday, saying he was sure he would return to Monaco one day.